And we are so proud to be a Chiswick business, with staff inspired by design and trained to the highest level in diamond and gemmological skills, jewellery design and customer service. What we specialise in is creating handmade engagement rings, wedding rings and eternity rings that are just perfect for you. Any of the rings you see on this site can be adapted or altered to make your own dreams come true. Snuggled alongside the rings is a fabulous range of British-designer silver jewellery, cufflinks and giftware. We carefully designed both our real-life and online shops to help you relax and feel at home as you browse our range or discuss a unique bespoke piece that we will be delighted to create for you. What makes us happiest is creating fabulous jewellery for anyone who loves and wants fabulous jewellery, at all budgets. At Marmalade, we don't try to be different, we just are. Why don't you pop in for a visit? Honestly, we're quite pleased with ourselves. Just quietly! We've done some pretty good stuff. 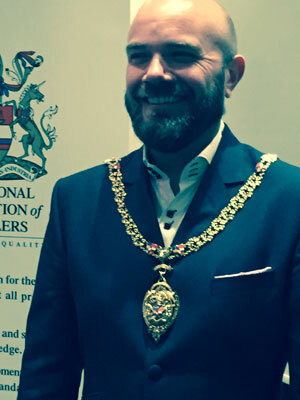 June 2016 - 2018 Chairman of the National Association of Jewellers. For London Jewellery Week 2008, we were asked to host the world's most expensive diamond and platinum handbag. Valued at over £1,000,000, designed and made by jewellery genius Ginzo Tanaka from Japan, the handbag luxuriated in our shop and we gazed lovingly at it a lot. We are also regularly asked to be judges in national jewellery competitions. Marmalade Jewellery are proud to have been full and active members of the National Association of Goldsmiths since 2004. Unifying with the British Jewellers Association in 2015 to form the National Association of Jewellers. The N.A.J is fully committed to improving education and training for members, upholding standards across the industry and in the unlikely event of consumer conflict providing expert mediation. We were proud, nay delighted, to be asked to join the board of Directors of the National Association of Goldsmiths in 2012, and to be Vice Chairman in 2014. As first Sole Chairman of the NAJ since June 2016, Simon Johnson is responsible for the strategy, creation and implementation for the Association and Trade across the whole country. As the UK's leading Jewellery Association, our mission is to increase confidence in the UK consumer's purchase of jewellery; through the integrity, professionalism, governance, representation, education, training and creativity of our members. "Our vision is for The National Association of Jewellers to be the UK's leading jewellery association in supporting and promoting a professional, vibrant, and growing Jewellery Industry". By displaying the Customer Charter on our website, Members of the National Association of Jewellers demonstrate that they are signatories of the Association's Code of Conduct and acknowledge their commitment to abiding by and upholding the full Code. Act with a high degree of integrity and in an open, honest and professional manner. Provide full and accurate disclosure, describing any jewellery or watches offered or sold. Abstain from engaging in conduct or in any business practice that may directly or indirectly mislead or deceive customers. Use NAJ best practice to help prevent trade in conflict diamonds, gemstones and precious metals and to help prevent suffering of workers in the jewellery supply chain. Make every effort to protect customers against any fraud, misrepresentation or unethical practice which may arise in the jewellery industry. Apply responsible and sustainable business practices being mindful and aware of the Association's commitment to observing the standards of the Responsible Jewellery Council. In the event of dispute Members will consider customer complaints in a timely and fair manner and, in the event of dispute, will clearly explain the NAJ procedure for Mediation and provide the contact NAJ's Compliance Officer's contact details in order to facilitate a timely resolution. Cooperate fully with any inquiry conducted by the NAJ to resolve disputes involving a customer, another NAJ member and to abide by the findings and results in due time. First sole Chairman of the National Association of Jewellers. Representing the entire jeweller trade in the UK. From retailers, to manufacturers, designers, to makers, mounters to polishers. Its Simon and the NAJ's job to ensure that the only national Association representing their members interests in the Jewellery Trade is upholding the high standards, providing solutions, public policies, ethical standpoints and marketing solutions whilst at the same time ensuring that the Association is saving and making their members money. The Association has over 2500 members, supplies over 1000 educational courses per year, a staff of 11 in 2 sites. With its ethos of setting the highest standards in the science and skill of jewellery valuation, the world´sleading institute in jewellery valuations is an illustrious institute. IRV valuers undergo stringent tests and checks just to enter the profession, and they are regularly monitored by an independent panel to make doubly sure their skills are still up to scratch. Insurance companies now often insist on an IRV valuation as standard. Britain is crafty, and long may it stay that way. Marmalade is both a very proud patron of the British Crafts Council, and we are very supportive of the skills needed to keep the craft industry alive and vibrant in the UK. We have sponsored awards several times at the Crafts Council Annual Skills Awards. Platinum Guild mystery shoppers visited us quite a few times (they like us a lot! ), and every time they pop by, we shine brighter. For the last six years running, we've been awarded Recommended Retailer status. Presumably our love of platinum dazzles them; it is so beautiful, versatile and elegant, yet it is superbly strong and resilient. Ahh platinum! This link answers any questions you might have about platinum jewellery. For more information please visit. June/July 2012: Marmalade worked some store refitting magic and added 'The Snug', our glorious private-viewing area. April 2011: Simon was asked to be on the National Association of Goldsmiths' working party for change. July 2010: Marmalade was asked to be judges on the International Jewellery London - Platinum Trail. 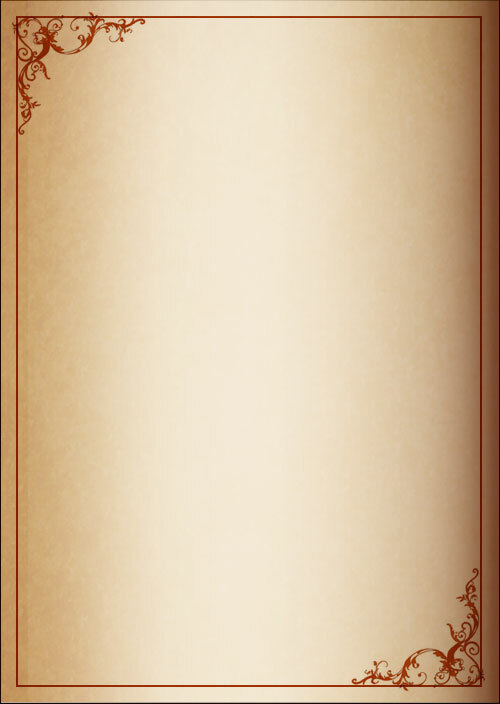 We accepted! July 2010: Judged the National Jewellery Awards. June 2010: Childline Rocks Chiswick. A jolly fun charity party hosted by Marmalade. February 2009: Judged Crafts and Design Award. 2008: Marmalade asked to be Ambassador for Coutts London Jewellery Week 2009. Why not, we said!? 2008: Attended National Association of Goldsmiths inaugural president's luncheon. 2008: Marmalade hosted £1,000,000 platinum handbag as integral part of Coutts London Jewellery Week 2008. Happy days! 2008: Presented at Retail Jewellers Congress, with Nicholas Wainwright of Boodles. You are our everything! So we will do everything we can for you. 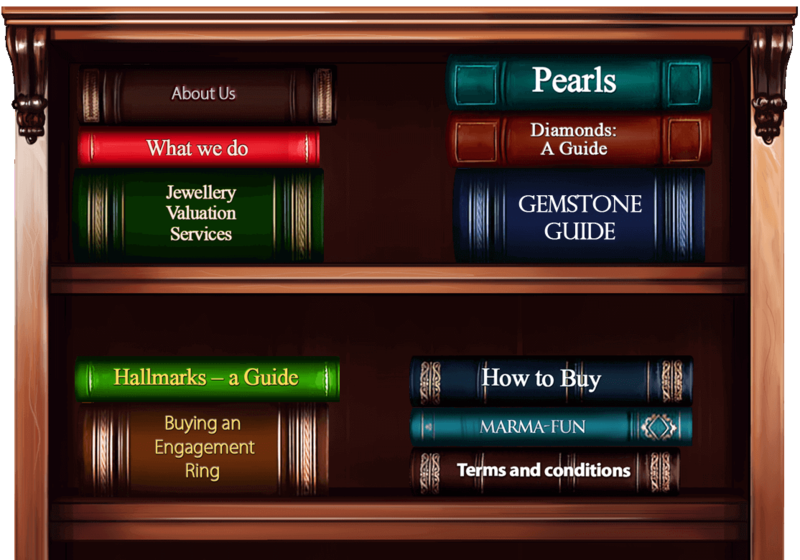 We know that buying any item of jewellery is an important decision, so your needs and concerns are what leads our discussions, whether you're in The Snug, browsing the shop or chatting with us online. There are some things in life that really do need to be delivered on time, and Marmalade jewellery IS some of those things. And you know what, we have a 100% on-time delivery record. That's just what we do! Because loving jewellery shouldn't mean you have to be Rockefeller, we price our products as fairly as possible, and it will never cost you any more to have a bespoke piece made than to buy from our beautiful stock. Our training systems ensure that all team members are able to deal with any query at any time. Not really that it needs it, but all of our jewellery comes with a 10-year guarantee against manufacturing defects, and any item bought in store may be returned for exchange or credit within any reasonable time (subject to conditions). The future of Marmalade lies in the hands of our fully qualified, happy and motivated retail, design and workshop teams. Sometimes you have to blow your own trumpet. For us, for you and for them, all Marmalade team members are trained to the highest standard and encouraged to go build their education and knowledge far and wide. Marmalade sponsors each retail team member to enjoy complete training, so they all have recognised national qualifications from the National Association of Goldsmiths, university degrees and international qualifications from the Gemmological Institute of America and the Diamond Group in Antwerp. 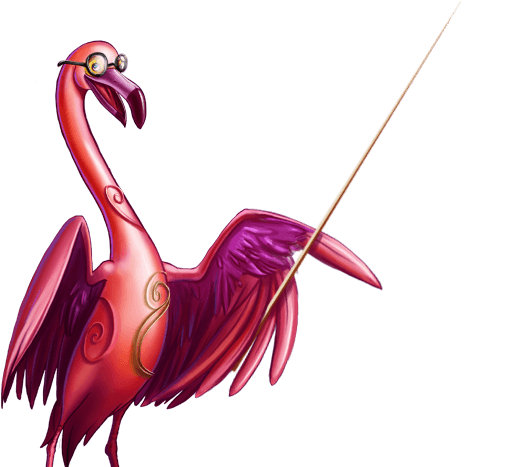 The current team has a whopping 20 jewellery-related courses between, all gained joining Marmalade. They make us very proud. We can also boast two degree-level designers in store, a qualified gemmologist and two jewellery valuers in-training. Our seven goldsmith and workshop elves have over 65 years of combined bench experience. That's a lot of training, right!? It's all for you. We do this so you can feel utterly confident that when you speak to any of the Marmalade staff, you know you are getting the best advice and technical knowledge available. Rest assured that Marmalade Jewellery does not buy or trade in diamonds that we cannot guarantee have followed the Kimberly process from mine to finger.. The Kimberley Process Certification Scheme imposes extensive requirements on its members to enable them to certify shipments of rough diamonds as 'conflict-free' and prevent conflict diamonds from entering the legitimate trade. Under the terms of the KPCS, participating states must meet 'minimum requirements' and must have put in place national legislation and institutions; export, import and internal controls; and also commit to transparency and the exchange of statistical data. Participants can only legally trade with other participants who have also met the minimum requirements of the scheme, and international shipments of rough diamonds must be accompanied by a KP certificate guaranteeing as far as possible that they are conflict-free. We really do care. Over 80% of the precious metal we use is from recycled sources, and we willingly signed - with a rather dashing pen -- a commitment to the National Association of Jewellers Code of Conduct. Trading ethically, sustainably and environmentally friendly-ly is what we want to do because it's the right thing to do. We are delighted and proud at Marmalade to be able to offer to make all our wedding bands using Fair Trade Gold, in either yellow, white or rose gold colour. Jewellery with the Fairtrade Gold Stamp really is extra special. 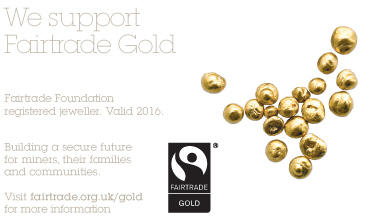 Fairtrade Certified Gold is the world's first independent ethical certification system for gold. By buying Fairtrade Gold you make a real difference to the lives of miners, their families and communities. Buying it means you know the small-scale and artisanal miners were paid a fair price for their hard work, giving them financial security for the future. They also receive an additional finances to invest in building the future of their families and their communities, through education, medical care or environmental projects. Marmalade hearts Chiswick. We love Chiswick and we do everything we can, as a local business, to support local charity and community causes and events. At Marmalade are fully invested and committed members of this smashing community. We will always try to support local initiatives, especially for the younger Chiswickians, with sponsorship or help. If you need prizes for your local school raffles, fetes or events, please feel free to ask. We will be only too happy to help. We are major sponsors of the Bedford Park Festival and have West London's finest marmalade-making competition, even if we do say so ourselves! We are delighted to announce the start of our charity initiative - Shine by Marmalade. In December 2015 we launched a range of designer silver jewellery in store from which 25% of all retail proceeds will support the Chris Hornby Bursary at Arts Educational School on Bath Road. This bursary will assist financially hard up students to finish their studies if they otherwise couldn't. Marmalade Fine Jewellery - Supporting The Arts. Turn the page to read what our customers have to say. As usual it is a pleasure shopping at Marmalade. I came in for repairs to one of my rings and left with a Christmas present for my daughter-in-law. It is the friendly, relaxed know-how and advise one receives which makes a visit so pleasant. Modifications to gold signet ring to suit new owner - me. Very pleasant and professionally run evening. The jewellery on display was, as ever, gorgeous and all the staff were knowledgeable and very willing to help if required. It was great to find an independent jeweller where I could spend insurance money on some replacement jewellery. Marmalade has some beautiful items that you don't find in a regular high street jeweller and I am loving my new items. The service was very personal and the staff took time to understand what I was looking for and to make suggestions as to what I might like. What can we say ... Marmalade always give a 3 Michelin Star experience every time. Thank you Nadine Simon and Team. As always, Marmalade provide a unique selection of gorgeous jewellery - and once again, the team excelled at fantastic customer service. Lovely people, first class service. Can't say enough about how great the team at Marmalade are! I went in not knowing a thing about engagement rings, and Lucy couldn't have been lovelier or more helpful. She helped me put together a beautiful ring which my (now!) fiancee loves. Both Lucy & Simon made the whole experience so easy & enjoyable - thanks again guys! My family have used Marmalade ever since they opened. The range of jewellery is perfect for every taste and age. We love it! This time I bought something for me. Simon was brilliant in helping me find the sort of necklace I wanted and I now year it almost every day. Another triumph! Thank you. Marmalade Jewellery shop in Chiswik doing fantastitic job. Very friendly staff. They always make me feel special . I had a couple of silver bracelets that needed repaired and I gave them to Marmalade. They were very helpful and kept me informed at all times. The service was outstanding! It's always a pleasure shopping at Marmalade - the staff are incredibly helpful and always manage to find exactly what I am looking for. The jewellery is of such high quality throughout the whole range. Exceptional customer service, friendly and knowledgeable staff and fantastic products. A great shop. Just went in to resize my ring. They were very helpful and gave me a ballpark figure which they did not exceed. Ring came back shiny and on time and Fits! The title says it all! Simon and his team made me a very happy customer by helping be gain valuations for jewellery that was stolen during a burglary, and several months later helping me replace several pieces. I am thrilled with the results, and having been on the receiving end of their thoughtful and well-informed advice, will definitely be back for more! Marmalade arranged to repair a gold chain necklace clasp. Very helpfully offered up two alternative quotes for different carat gold. They kept me informed of the charge and the progress of the repair. All very efficient and charming. The customer service was courteous efficient and importantly knowledgeable. I was extremely well attended and not hurried at all. The icing on the cake was being offered a glass of champagne after purchase! As always Simon and Nadine are true professionals. They sit and listen to your needs and come up with exciting solutions. The service is always without fault and they care about opinions and always go the extra mile. Highly recommend for all jewellery whether its a charm on a chain or an important keepsake/gift of importance. Although i only had a repair job I found Marmalade a very friendly and professional company to deal with. My necklace came back on time fixed and looking great. The Best Jewellers in the World! When I came to live in Chiswick I was delighted to discover Marmalade. Simon helped me design my "divorce ring" using stones from rings that would otherwise no longer be worn, and he and Nadine have since always been a source of inspiration for gifts. The whole team make you feel part of the family and yet special, whilst at the same time being incredibly professional. And the displays are always decorated in the most original and wacky way. Looking for something special/unusual 'Marmalade' is the place to go. They made us feel welcome and gave us time to think and talk about what we wanted. They would be my first port of call when it comes to jewellery. My fiance and I came to Marmalade after it was recommended by a friend and we were lucky enough to be greeted by Simon, who has continued to serve us for the last few months. I would be hard pressed to think of anybody who has ever given us better customer service, or a more enjoyable shopping experience in the run up to our wedding. Ours was a sensitive issue - we brought in my engagement ring in the hope of having it remodelled (but without having any idea how) after the original jewelry designer (who shall remain nameless - for now!) did not follow the brief or photograph my fiance provided, made a terrible job of the ring and over charged him for the pleasure. It was an emotional decision to finally decide to look into altering the ring and Simon handled the situation beautifully. He told us 'anything is possible' and ran through our many options with patience, knowledge and expertise. He offered advice with sensitivity and insight and we never felt pressured or patronized. We were so impressed and felt in such safe hands that we left the ring with him there and then. I could not be more thrilled with the end result. Simon has really rescued our relationship with my engagement ring and brought the joy back into the ring shopping process for us. We have since returned to have work done on two vintage rings I own as well as to purchase both of our wedding rings. These were again recommended to us, altered and embellished with clarity and insight and complete understanding of our personal taste. Simon has also always been more than happy to work within our budget. I am sure the finished rings will be gorgeous and I can't wait to see them! We live on the opposite side of London, but we will continue to return to Marmalade - why would we use another jeweler when at Marmalade 'anything is possible'? I just wanted a pair of everyday earrings and was pleased to be shown a wide range of styles to choose from. Beautiful and imaginative jewellery, and excellent service. I haven't bought anything recently. This shop is a gem itself - fabulous jewellery reasonably priced. Beautiful contemporary, modern classic styles and helpful friendly staff. Simon and Nadine are great and run the only jewellery shop I will use. From gifts to my wife's wedding and engagement ring, they take the time to understand your budget and aspirations, and always find a solution. I no longer live in Chiswick, but just like my dentist, will make the long journey to West London when needed. 5 Stars! I was buying an engagement ring and came in without knowing very much. Janina was incredibly helpful and guided me through the process and the options available. The ring was then made within a week or two and I am delighted with it. I would definitely recommend Marmalade. We are so glad for the finished product of our bespoked engagement ring. Both me and my Fiance are totally "wow'ed" with the finishing touch to our black diamond rose gold engagement ring. It was just lovely. Started off the work with Janina, one of the senior designers many months back and she was very patient to go through the various design options to me without holding back anything! 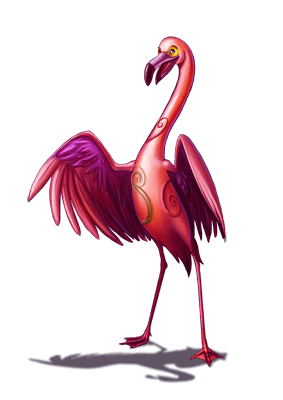 Also with the fact that i only had 2 visits, first is to talk out the design, second is to collect. Most of our design work was very much through emails and phone calls. I did not feel rushed into making the right choices and decisions. I was very surprised on how prompt their service was and the amount of details they are willing to go into. Only people with real dedication and passion will do this and i believe Marmalade has exceeded my expectations. I'm telling everyone about Marmalade! Thanks Simon and especially Janina. What can I say - Marmalade the most beautiful jewelry you can imagine. It was a delight to be pampered with diamonds - thank you not only for a stunning piece (or two) but for the advice, support and sheer joy of trying before buying! Janina has been a great help to us whilst designing my new engagement ring. Originally I was having my old ring repaired and was going to purchase a new eternity ring. She suggested a style of ring to incorporate the two and it's gorgeous! Service is efficient, including notifications when item is ready. It seems extremely expensive though. I would recommend the service with proviso about cost. I have been going to Marmalade for several years now and think they are a fabulous jewellery shop. 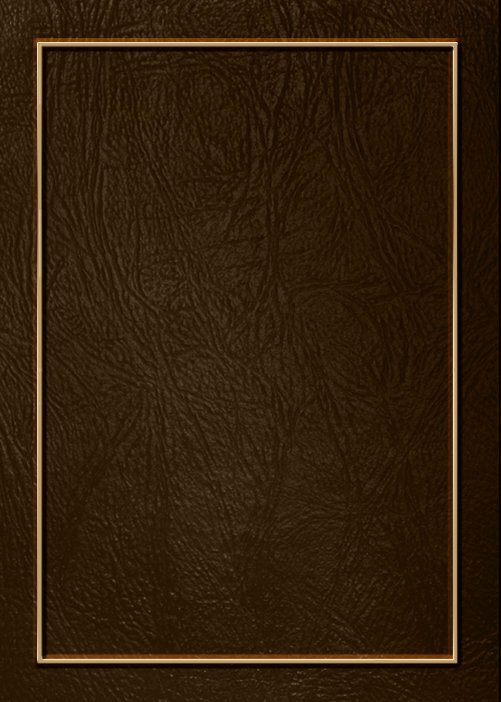 They are knowledgeable, incredibly helpful and hold great stock. I cannot recommend them highly enough. 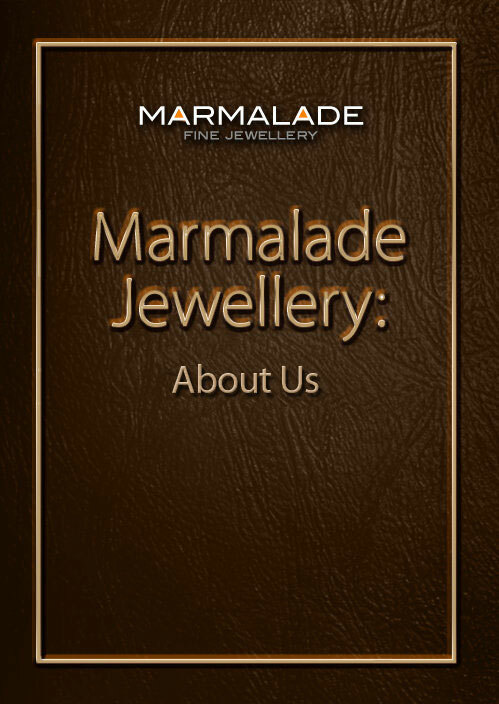 marmalade are obviously experts in jewellery, helpful advice and a pleasure to do business with! The customer service was very good and the repair was done extremely well. There is no job too small for these delightful people and nothing is impossible . It's a CAN DO shop! Excellent. The ring is perfect, thank you! We purchased ruby earrings and a matching necklace from Marmelade. They were extremely helpful and kept us informed when the items were available. I have shopped in Marmalade for many years and cannot rate the service highly enough! The range of jewellery is amazing, and if they haven't got exactly what you want, the option to have it made is fantastic. I recently had a pair of earrings (beautiful Lapis and gold studs) made for my mother, who was absolutely thrilled with them. Always a pleasure shopping at Marmalade - all the staff are friendly and efficient. We'll be back! Shopping at Marmalade is a great experience . The range of beautiful, often unusual jewellery is very tempting and I have had several pieces bought by my husband as well as treating myself . The staff are attentive, not pushy , well informed and helpful . Coffee was provided and there was no hesitation when I asked for my rings to be cleaned . Its great having such a good jeweller so nearby to home and even if one cannot afford to spend , the window is always worth looking at ! Lovely shop, with a wide variety of Jewellery on offer. Friendly and helpful staff. You repaired and made changes to my late mother's jewellery. You did so very efficiently and your advice was very helpful. Very pleased with service and quality if product - as usual! I level of service I received from Marmalade Jewellery was, simply put, fantastic. I walked in looking to get a few ideas for a ring to celebate the arrival of our second child, the only think I knew was that the ring had to be 'something different'. Sonia at Marmalade sat down with me, talked through my initial thoughts then came up with a number of wonderfuly creative designs, the final result being a beautifully crafted ring that took my wife's breath away. I can not thank Sonia and the Team at Marmalade enough for making this special occasiona all that more special. I recently took two rings to Marmalade to be repaired. The shop was recommended to me and I have to say it was a great recommendation. Very professional, very good at keeping me advised of how the repairs were going and also very friendly. Will definitely use again and would happily recommend. Mandy Burnley, Weybridge. Simply the best jewellery store experience in every sense. Great help received in choosing a present to fit my budget. The little personal touches make all the difference and encourage me to come into your shop, eg the generous gift voucher commemorating a previous wedding anniversary purchase and the loggin of my details so that you could track me down following an enquiry from the recipient of my present. Excellent personal service. I was relieved to receive some trustworthy advice on the pearls to buy for my daughter's 18th birthday. She now has a lovely set, which she and the family is very pleased with. The range of items was good and I was able to spend an amount I was happy with. She has a set of pearls that are not so expensive that they have to remain in the bank, but expensive enough to feel proud of when she wears them out for special occasions. She will be able to keep and use them throughout her life. That is a very nice thought. Marmalade is always a pleasure to shop at not that I'm able to do it that often but the customer service is fantastic and they really work hard to be an inspiring and desirable local jewellers. I love Marmalade Jewellery. I don't go there that often, but whenever I do, I always find something perfect to buy for myself or for a gift. Something unique, original, within budget at an affordable price and all with personal service. I would not hesitate in recommending them. I bought a lovely necklace from you yesterday for my wife's birthday and had excellent service.I was,however,annoyed to receive this email almost straight away which my wife saw thus ruining her birthday surprise....please in future don't send emails so soon after purchase,wait until the recipient has had a chance to enjoy her gift! Extremely happy with the service provided when I took jewellery in to be cleaned and brought back to life! Marmalade was recomended to me and I would happily recommend to others. service was very courteous, friendly and efficient. all your girls are a pleasure to deal with. Customer service is always of a very high standard. Staff are welcoming, attentive and helpful. They pitch their service perfectly. Nothing is too much trouble and they really go out of their way to source an item if they don't have it in stock. Ordering is straightforward and easy, and you are kept informed of progress via text messages. Shopping at Marmalade is jewellery retail at its best - a personal, professional, and very special experience. Knowledgeable staff that really make you feel like a valued customer, helping you make an informed purchase rather than leaving you feeling that you have been forced into a decision. Marmalade staff is always helpful and will work to make sure you are happy. I've purchased from their items in stock and had bespoke pieces done as well. They have serviced broken bits and appraised my wedding ring. The best in London! I would like to thank Simon and the team at Marmalade in helping us choose a engagement ring. They were patient, staying late so that we could visit after work, generous with supplying us with complementary coffee and suggesting design possibilities, but most of all, they designed a custom made ring that my fiancee loves. I have had a couple of rings from marmalade jewellery recently. The level of service and quality of the jewellery was fantastic. Please keep up the good work. From the moment of walking into Marmalade Nadine was so helpful and out of a very rough brief from me, chose a selection of rings to try on, all stunning. I chose the one out of my budget (of course) but between Nadine and Simon they managed to taper it to suit our needs without compromising on the design or style. As such I am a very happy lady with the most stunning engagement ring on my finger from the Joyce collection. We would thouroughly recommend Marmalade to anyone looking for a unique personal experience and beautifully designed ring. Thank you! From the moment I was greeted as I walked through the door into Marmalade Jewellery I knew that's where I would be buying the engagement ring. Such a purchase seemed like a minefield, full of terminology that was alien to me. I was made to relax straight away, the process was outlined with clarity, no question I asked was a stupid one and I was given all the time I needed. I can safely say it was one of the most pleasant shopping experiences I have ever had and only wish that my now-fiance could have enjoyed the experience! I'm positive there will be other jewelery projects she can join me in with Marmalade in the future! The quality of service at Marmalade Jewellery at Turnham Green is really second to none. Simon paid close attention to what we wanted and had a really methodical and personal approach to ensuring we were 100% happy and got the wedding rings we wanted. The quality of their designs and work and customer service do put them a cut above, would definitely recommend. I have to say that I have always found Marmalade to be courteous, friendly and efficient. I have bought a number of items for my wife from Marmalade Jewellers over the years and I must say that there customer service is faultless.